On August 26, 2015 the Defense Nuclear Facilities Safety Board (DNFSB) held a hearing in the Hanford area to receive testimony from senior DOE officials representing DOE Headquarters, the Office of River Protection (ORP) and the WTP project regarding the current status of DOE efforts to improve safety culture (SC) at the WTP. A senior DNFSB staff member also testified on DOE’s SC improvement efforts. W.F. Hamel Jr. (Federal Project Director WTP) – This focuses on more specific, project-level actions. “We believe we have made significant strides. . . . sustaining a healthy safety culture requires persistence and consistency at all levels of the organization . . .” He gave a shout out to Bechtel for progress in improving their SC and the Safety Conscious Work Environment (SCWE). After the panel completed their presentation, the DNFSB staff member responsible for overseeing WTP (and other DOE) SC efforts had ten minutes to provide the staff perspective on DOE’s efforts. He summarized the SC assessments that have taken place at the WTP and other facilities in the DOE complex. *** His testimony had more “howevers” than a Consumer Reports review of a mediocre automobile. For example, DOE’s original plan was developed prior to the 2012 SC assessment and did not include the latter’s findings. 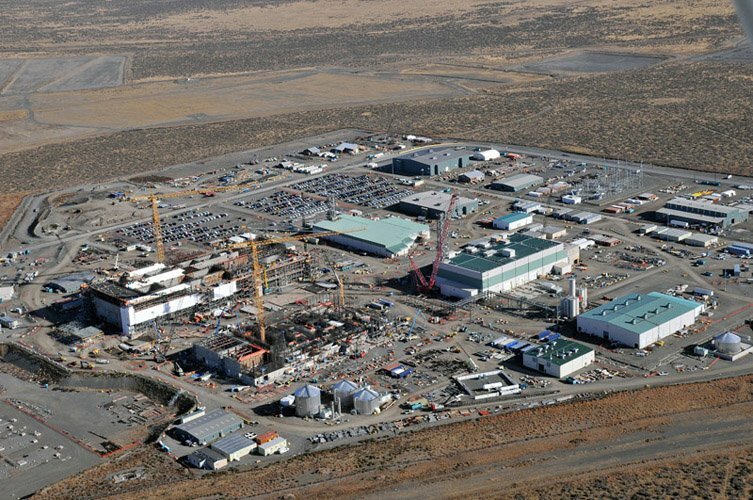 DOE modified their plan for Hanford but it was not applied to other DOE facilities. The DOE themes did not address the root causes the DNFSB identified in their 2011 Recommendation. He was also critical of the DOE’s extent of condition review. He was asked one question by the meeting chair: “Is the bad (i.e., not supportive of SC) management behavior identified in 2011 still occurring?” The answer was “It’s mixed. Some yes and some no.” The chair was clearly not happy with that answer after four years of effort. The DOE bureaucrats identified a passel of SC-related improvement activities and claim progress is being made but there is still work to accomplish. The testimony of the DNFSB staffer was less optimistic. A statement contributed for the record by an anonymous “concerned engineer” includes examples that look like they came straight from the bad old days. **** We have reviewed most the DOE/WTP assessments, action plans and progress reviews on Safetymatters; click on the DOE or WTP label to see related posts. Call us harsh, but we don’t believe there will be any substantive changes in the way business is conducted at Hanford until the bad stuff starts leaching into the Columbia River. On a slightly brighter note, the DNFSB is back to full strength with five members, including a new chairman. From looking at the press releases, it appears they have added folks with federal/military backgrounds and middling technical exposure. The new chair is a career technical functionary whose last stint was at the White House. It’s hard to get All-Stars for a toothless agency. What they can contribute to oversight of DOE remains to be seen. We wish them well. * The video is here. Testimony and statements are available here but most are scanned copies which means quotes have to be retyped and may not totally accurate. For an overview of the meeting see A. Cary, "National board hears safety culture is improving at Hanford vit plant," Tri-City Herald (Aug. 26, 2015). ** Statement for the Record and Additional Information of G. Podonsky, Office of Enterprise Assessments (Aug. 26, 2015). Testimony of K. Smith, Manager, Office of River Protection (Aug. 26, 2015). Testimony of W.F. Hamel Jr., Federal Project Director, Waste Treatment and Immobilization Plant (Aug. 26, 2015). *** Testimony of D.B. Bullen, Group Lead, Nuclear Programs and Analysis, DNFSB. The question and answer are not verbatim but paraphrased from the exchange between Bullen and the chair that occurs from about 1:52 to 1:55 in the video. **** Statement from concerned engineer (Aug. 26, 2015). How does the difficulty in getting the text of what went on reflect on safety culture? I'm not sure what it says about DNFSB safety culture but it appears getting hearing materials on the website is not an urgent priority. The video and panel testimony were put up pretty quickly, the statements from third parties were posted about a week ago and Dr. Bullen's testimony appeared in the last couple of days. It has now been almost 20 years since DOE embarked upon the effort to procure technology to reduce the hazards of Hanford tank waste; if there is any evidence of substantive progress in that direction it is difficult to find and over the years it has certainly become more difficult. Viewed from any credible distance one is entitled to ask: Who loses from the treatment of the waste? A. The entire Tri-Cities economy. And: Who gains from having an incompetent contractor run a construction project with no visible sign of coming to practical completion? A. The entire Tri-Cities economy. Since Bechtel crafted the present Win-Win-Win (in near perpetuity) deal for itself, DOE, and the local economy, there has not been an ounce of genuinely risk-informed thinking about what to do with the Tank Waste. When Bechtel took over the project in 2000 they deliberately set out to build and authorize the WTP to their version of the NRC world view of nuclear safety for large power reactors. That was then and remains a formula for an unachieveable (and ultimately irrational) level of protection from relatively straightforward radiological hazards while declining to build a chemical treatment plant using modern technology and best understanding of risk. This would have called for a lot more prototyping as was originally anticipated 20 years ago. The DNFSB (prior membership at least) has been complicit in the search for a risk free plant and when it couldn't be had it's remarkable how the Safety Culture Hobby Horse came along to give all parties the perfect distraction. What the heck, it's only a Billion a year or so!